Finding a way to write a love letter to your husband shouldn’t be overly difficult, but for many, it is. 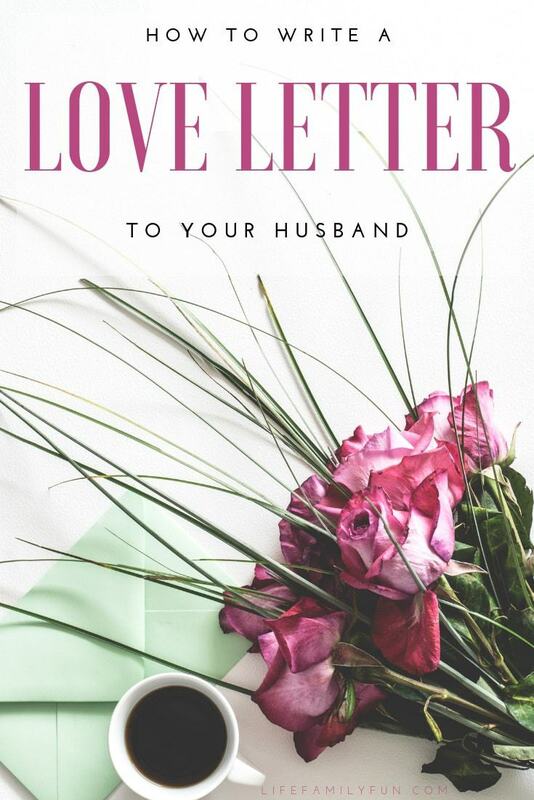 If you’re wanting to give your husband a special note this year for Valentine’s Day to let him know just how appreciative you are of him and his heart, writing a heartfelt love letter is a wonderful plan! Take a moment and stop and think about what you love about your husband. More than likely, there are several things that make the list, making it hard to narrow it down. How lucky are you to have an amazing husband to share this journey of life? Someone to be by your side, have your back and walk hand in hand with you through all the amazing peaks and valleys. If that isn’t love, what is? This Valentine’s Day, give your husband a gift straight from the heart – a love letter full of everything that you love and admire about him. When you take the time to show him you care, you’ll be amazed at the appreciation and love that blooms from it. Writing a love letter to your husband doesn’t have to have any sort of guidelines or restrictions. However, if you’re looking for a few tips, here are some to help get your emotions flowing and pen writing. You don’t write for Hallmark, so don’t try to make your love letter sound that way. Instead, write a love letter to your husband that reflects how the two of you actually communicate with one another. Use your nicknames or talk about special memories or inside jokes that only the two of you would know about. With all that blank space, you can literally write about anything that you want! One beautiful aspect of being married is that you have a lifetime of memories that you’ve accumulated and experienced together. (and if you are newly married, don’t fret! You’ll have plenty to make in the future!) Making your love letter to your husband personal and filled with those fun times is a great way to bring a smile to his face. Who knows…Your love letter may just be what “sparks” a little Valentine’s Day romance as well! So many times we all tend to bottle up our thoughts and emotions, never wanting to share them with the outside world. With your husband, it’s different. Share and be honest with him. Let him know how he still makes your heart flutter when he walks into the room or how you love that he puts your toothpaste on your toothbrush for you each and every morning. Don’t forget about all those zillions of cups of coffee he’s brought to your throughout the years as well. He’s your better half, your rock, your best friend and the reason your heart is full of love. Why wouldn’t you want to write that out to him and let him know? If you’re taking the time to write him a love letter, make it about him. Thank him for being him. Thank him for being your shoulder to cry on or your partner in crime, the father of your children…whatever your husband brings to the table that you love, thank him. You can’t go wrong with a genuine “thank you” and a heartfelt letter. This Valentine’s Day, it’s time to write a love letter to your husband. Don’t overthink it, don’t over analyze…just sit down and let the words and emotions pour from the pen to the paper. Once you’re done, don’t correct anything. All you need to do is seal it with a kiss and wait for his eyes to light up as he’s reading it on Valentine’s Day!